Service getting closer to normality, still no through City service or on the Chesham branch. Is the early closure between Wembley and Aldgate after 8:30PM still set to go ahead? I believe about 7 inches of snow fell in the Chilterns today. Not just the Met having problems; most trains on the Chiltern line via High Wycombe were cancelled and the A41 has been closed most of the day. I believe that there was a planned closure of the Met south of Wembley Park all day today, independent of the snow. I love the way it’s all down to power supply problems. Some PR spin there. The level of preparation was woeful. Some pretty ungrateful punters out today too, the typical weekend types who expect everything to be organised round their every need and then a tantrum when something isn’t to their liking. A lot of staff made a lot of effort to get in to work today, often in dangerous conditions, to provide some sort of service. It’s always rather satisfying to see the look on these self-important types faces when they are told to fend for themselves and find their own way to travel. They can see what’s going on, yet expect everything to be normal. The opening post of this thread reads:No further comment necessary! Some pretty ungrateful punters out today too, the typical weekend types who expect everything to be organised round their every need and then a tantrum when something isn’t to their liking. Two inches of snow in the north and the Pacer still bounces along. Two centimetres of slush in central London and the transport network dies. The level of preparation was woeful. I quite agree, 15hours before I'm due to start work tomorrow I received an SMS from my work reminding me of the forecast and to allow extra time for my journey to work. On the plus side, I’ve finally found something positive about night tube, in that it provides a service of sleet trains. A very expensive way of doing it though! Quite appalling that the disruption has lasted all day. We’ve had worse conditions then this before with less disruption. Depends. Whilst the Northern had two or three hours of utter carnage, once the special service was established the line behaved itself. With a special service once it’s in there are only two opportunities to take it out - when the late turns book on, or at close of traffic. There will always be issues with crewing arrangements, especially if roads are disrupted or gridlocked. Please don’t see this as an advert for driverless trains, as it’s days like today when well trained staff prove their worth and earn their money. What could and should have been better was contingency arrangements. De-icing of premises, response staff on standby in strategic locations (overtime offered), assets like point heaters checked in the days leading up, trains topped up with de icing fluid, etc. It seems pretty much nothing was done. One also has to consider the general deskilling of staff across the combine. Many trains managers aren’t trained on rolling stock now, and LU seems to like the idea of “generalists”. For example, a manager doesn’t need to be trained on rolling stock as a car examiner will be sent to an incident and the driver should know their stock. In real life this just doesn’t hold true. No chance of getting a train tech out to the sticks, and whilst they may know a bit about the trains, they don’t know the full picture especially things like how the train may interface with signalling. Real life also shows wide variability in the competence of train operators in dealing with issues - some are superb but many are not, especially on lines where the trains don’t go wrong often. I think with the current lost-ship-floating-aimlessly-in-the-sea mentality of LU we are sadly going to see a lot more of this. 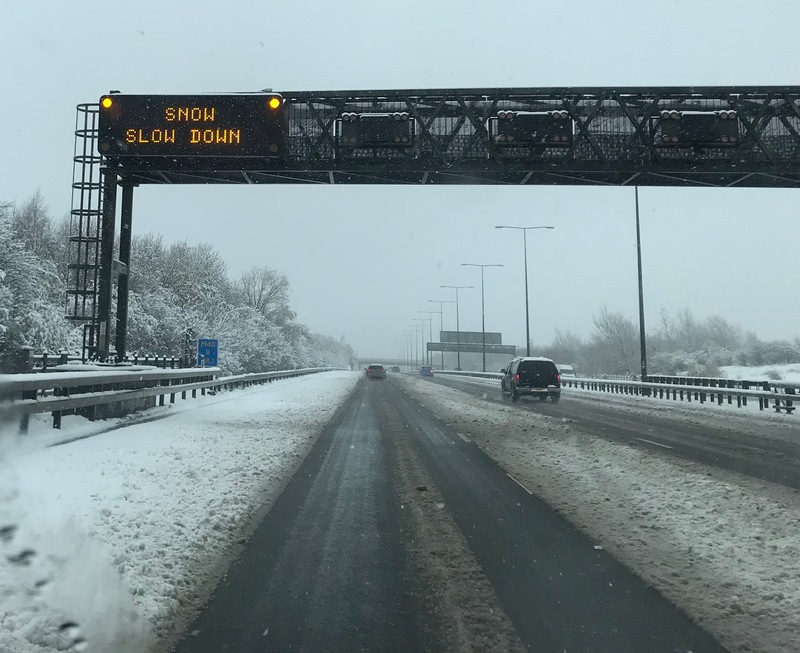 Just seen on the News that the M25 was blocked earlier today because it hadn't been gritted, so it seems LU were not the only ones caught on the hop. I didn't see a forecast last night though - was any snow forecast this far south?